This part of my website focuses on restaurants and bars that are great for single people, whether it’s the vibe of the place or the menu that is eclectic and perfect for one. 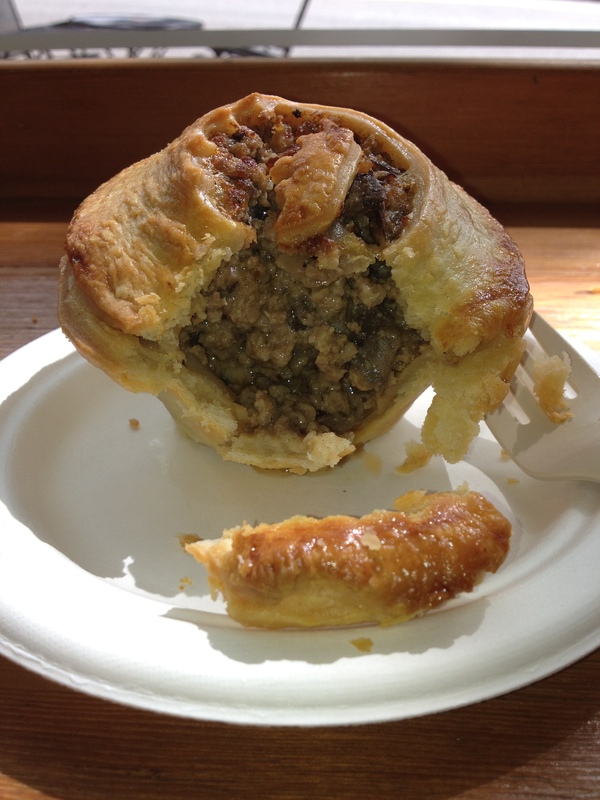 The English meat pie at Pie restaurant is the perfect size for one person. My first Hot Solo Spot is Pie, a small restaurant in the Fremont neighborhood of Seattle that opened a year and a half ago. Pie, at 3515 Fremont Ave. N., serves individual savory and sweet pies that are so delicious, I was craving them days later. I believe a crust can make or break a pie, and this place delivers with a buttery, flaky crust that’s not too thick. My favorite is the English meat pie, although I couldn’t pass up their peach raspberry pie, which melded the sweetness and the tartness of the fruits perfectly. On any given day you can choose from a dozen types of small pies made fresh every morning, costing $4.50-$5.45 each. Co-owner Jessamy Whitsitt, who started making individual pies in muffin tins as a hobby, says they make traditional pies as well as interesting flavors like mojito meringue and BBQ pulled pork. 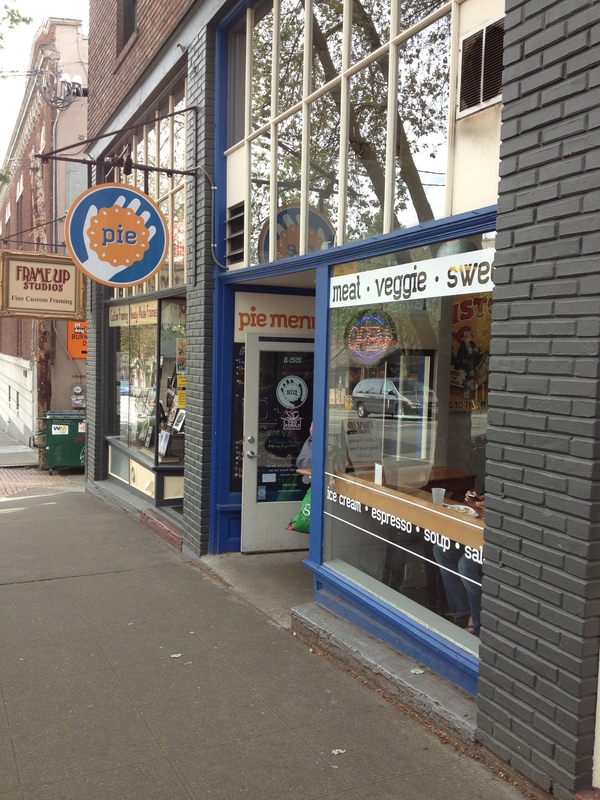 Pie has two Seattle locations, one in the Fremont neighborhood and another at the Seattle Center. Just one month ago, they opened up a restaurant in the Armory Building at the Seattle Center, at 305 Harrison St., just across from the new Chihuly exhibit. She says people from England and Australia try their savory pies, and with tears in their eyes, say it reminds them of home. To quench your thirst, Pie offers hard ciders, old-fashioned sodas and local beers. You can sit down for lunch or dinner and if you are in a rush just grab one or two for home. Posted in Hot Spot restaurants and bars and tagged fremont, pie, restaurant, savory, seattle center, sweet. Bookmark the permalink.